Swagbucks is one of the biggest names when it comes to survey sites and GPT sites (get paid to). But being a big company is not always a sign of quality. 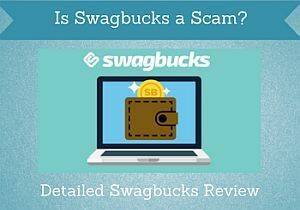 So is Swagbucks a scam or is it really a legit opportunity to make money online? In this 2019 Swagbucks review, I will give you all the details about what the site has to offer, what you can expect, and what to be aware of, so you have all the information you need to decide whether it is a site you want to join or not. I will also show you how to get $15 joining bonus if you decide to join. What is Swagbucks and what does the site offer? Swagbucks is owned by Prodege, that is a provider of digital services, including reward portals like Swagbucks. It now has more than 20 million registered users, so it is definitely one of the biggest and most popular rewards sites out there. At the end of 2017, Swagbucks reached a milestone as it reached a point where it had paid out cash and prizes for over $200,000,000. So let me right away conclude that Swagbucks is a legit site, that does pay out – I have been paid many times by Swagbucks myself. I personally think paid surveys are a great way to make some extra money, and Swagbucks offers a good amount of these. Usually, there will be many daily opportunities. Because Swagbucks has so many members, it is also a popular platform for the companies that need to have surveys done to go to, and that will lead to a good amount of survey opportunities. You can find quite a lot of paid surveys on Swagbucks. When you log in to the site, it might not be clear right away where to find the surveys. Contrary to most of the sites that offer paid surveys, Swagbucks does not have a section that is called “surveys”. The section where you find the surveys is instead called “Answer”. In this section, you can also find the daily poll. It is a short question that will only take a few seconds to answer, and you will get paid to participate. Like with most other survey sites, you just have to be aware that you will not be able to qualify for every survey that is offered. That is just how it is with survey sites, but it can be good to be reminded about once in a while, not to give up after having tried a couple of surveys that we do not qualify for. There will definitely be many you qualify for, and after a while, you will figure out what type you most often qualify for, and then you just focus on trying out those. And Swagbucks offers a very good amount of paid surveys and it is a section on the site that is definitely worth checking out. Swagbucks has a cooperation with a long list of companies, where you will earn Swagbucks rewards (called SB = Swag Bucks) when you shop online. This applies to thousands of online stores, and include brands as Gap, Nike, Amazon, Walmart, and there is also cash back for services and different local activities depending on where you live. The cash back you will get are between 1%-50%. Luckily most companies give more than 1%, and you can make some good deals this way. So if you like to do some of your shopping online anyway, doing it through Swagbucks shopping portal can be a great and fast way to earn rewards, and that way make some good online deals. Be aware that the pictures below are just a few examples, and the offers are updated all the time, so the exact deals shown on the picture might not be available when you go to the website, but then there will be plenty other. If you are interested in the Swagbucks cashback option, make sure to also check out the part about the Swagbutton (Swagbucks Chrome extension) later in this review. This is very useful for keeping up-to-date on the online saving you can get. Swagbucks has a section where you can go an search online. They also offer it as an extension for Chrome browsers. If you are using this, you will get a chance to win rewards every time you do a search. You can earn by using Swagbucks’ search option. If you win, you will see it immediately on the screen. You can win between 1-1000 SB, and the winners are picked randomly. It does not say anything about how big the chances are of winning, but Swagbucks is making it clear that they will not use any search information to sell your information or collect personal information. So if you are searching the web anyways (as we probably all are) it might be worth giving it a try. You can earn some rewards by watching videos on Swagbucks. Let me say right away that it is not a lot you can make from this. There are different options to watch videos- You can, for example, earn a certain amount of points for watching a playlist within a category. The video option is not the fastest way to earn but it can be entertaining. As you can see in the image above, you can see the topic, the total length of the playlist, and the reward you will get. For example, the video playlist of “The Boss” (Bruce Springsteen) has 12 short videos and will take a total of 11 minutes to watch. You will get 2 SB for this. So you should not use this feature only for the money, but only if you find the videos interesting anyway. And there is a pretty good chance to find interesting videos. You can, for example, find videos in categories like sports, entertainments, health, food, politics, fashion, technology, pest, and more. So if you find videos you will like to watch anyway, then why not get paid a little to do it? There are a couple of ways to earn rewards by playing games. One is to play one of Swagbucks own free games, and the other is to play a game on an external site. Swagbucks has a few games you can play on their site, and win up to 10 SB by playing. It is, for example, a memory game or similar nice little games. You can earn by playing free games on Swagbucks. The games on external sites are also games you can mostly play for free like playing slots, poker, wheel of fortune, Angry Birds, and more. You will however only earn SB if you do in-game purchases while playing. So it is more of a cash back option you get here. But if you like playing these games anyway, it can be a great way to get some cash back for purchases you would have made anyway. Swagbucks has a lot of offers/deals you can get access t. You can find them in the section they call “Discover”. It is offers where you will get points for taking a certain action. It can be to sign up for a certain website or service, visit a website, download an app, sign up for a free product sample, sign up for a newsletter, etc. Compared to other GPT sites that have offer sections, Swagbucks has a really good selection in my opinion. Usually, you will mostly find what is called offer walls that are offered on many different sites. You can definitely find some good offers here, but Swagbucks has even more opportunities. It offers many deals that are more or less only offered through Swagbucks. And if you keep an eye on them, you can find some amazing deals and make some really easy money. Let me give you a couple of examples of the kind of deals you can find there. Example of one of the great offers I found on Swagbucks. The image above shows a service you can sign up for. By signing up and depositing $5, you will get another $5 into the investment app you will sign up for. In addition to this, you will get 1000 SB as a bonus for signing up. That is equivalent of $10. So by investing $5, you will get $10 to invest for in the app + $10 into your Swagbucks account. Another great offer I found was this charity you can donate to. Another great offer – here you get $25 by donating $20 to a charity. Here you will get $25 into your Swagbucks account as a bonus if you donate $20 to the charity. So you basically earn $5 by making a positive difference and donating to a charity. That is n my opinion a great deal. Be aware that new offers come and go all the time. So the above are just a few examples I found. The exact offers might be different for you, but as you can see, there are some really good opportunities and easy ways to make money by using the offers. You can invite your friends to join Swagbucks and that way make a bit extra. If you invite somebody that joins, you will get 10% commission of everything they earn. This 10 % will not be taken from your friends’ rewards, but be paid by Swagbucks as thanks for inviting somebody else to join. You can take small online tasks through a platform called Figure Eight on Swagbucks. You can do micro-tasks on Swagbucks. The higher level you get, the higher rewards you will get. It is not an option that is super easy to find, as it is a bit hidden. You have to go to the “Answer” section. Here you can in the side menu then see an option called “tasks”. If you click this, you will get to the task option. The tasks do not pay very much in the beginning. But the more tasks you take and complete accurately, the higher level you will get. This will give you access to higher paying tasks. By having a certain activity on Swagbucks, you can earn an extra bonus. Once you are logged in, you can see what the daily goal of earnings is to fulfill the daily goal that day. The daily goal bonus can be a great way to earn a bit extra. If you do this several days in a row, you will get a bonus depending on how long a streak you will have. 7 days will give you 25 SB, 14 days 100 SB, 21 days 200 SB, and 31 days 300 SB. So that can be a nice little extra bonus to go for if you are using Swagbucks every day. You can not only get a daily bonus by getting the goal bonus. 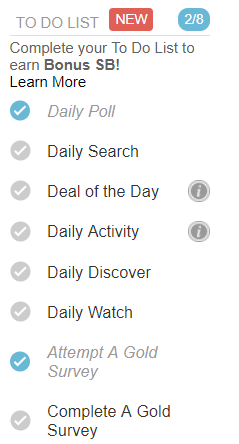 Swagbucks also shows you a daily to-do list. If you make complete this, you will get an extra bonus that day. You can also earn a bonus by completing the daily to-do list. There are 8 items on the list, as you can see in the image above. If you complete 6 of these items, you will get a 4 SB bonus. If you complete all 8 items, you will get an even higher bonus. 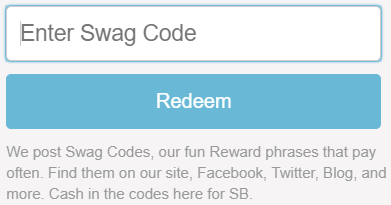 Quite often there are codes or special offers posted on the Swagbucks’ Facebook page or other social media channels. You can regularly find Swag codes that will give you free points. These codes will get you free SB, so it can be a good idea to keep an eye on the social media channels for some free rewards. On your birthday you will receive 55 SB for free through an email. This amount will be given as a rebate if you redeem a reward within 30 days after your birthday. So to get this birthday gift, you have to click the link you get sent by email, and then make sure to redeem a reward within 30 days. Swagbucks regularly runs contests. Some of them are announced on their blog and others you can find after you log in to the site. Most of these are free to participate in. You can however also find contests on Swagbucks that you have to use your SB to participate in. It can, for example, be a contest for $2500 where you have to pay 2 cents to participate. There are also contests like this to win things like coffee machines, AirPods, PayPal cash, and more. So if you feel lucky, these contests can be a chance to win some great rewards. Usually, you do not get a cash joining bonus on Swagbucks. But because I have this website, I have been able to get an invitation link that will give you $5 joining bonus, by using the link below. You will get the bonus once you have earned your first 2500 points. Not only that, but you will also get an extra $10 into your Swagbucks account if you join through the link below if you decide to use Swagbucks shopping portal. The first time you purchase something through the shopping portal, you will get the $10 into your account. This is a great way to get some free cash from the beginning. Like any other legit survey site, Swagbucks is free to join and use. An extra thing Swagbucks offers is the Swagbutton, which is Swagbucks’ Chrome extension. It can be very useful if you would like to get some good savings when shopping online and get access to coupon codes that can save you a lot of money. Once you have installed the Swagbutton, you will automatically get an alert in your Chrome browser, when there is a new coupon code and cash back offer available on Swagbucks. The Swagbutton makes it easy to earn extra and get savings while surfing. The Swagbutton also makes it possible for you to easily see if the site you are on has any coupons or deals. When you make your first purchase and get a cash back through the Swagbutton, you will get a $10 bonus. So if you like shopping online, it can definitely be a great way to get some saving to have this Chrome extension installed. You can also watch movie trailers, small video clips, and more through the Chrome extension, and it can thereby help you to earn extra Swagbucks while surfing the web. You also get exclusive Swag Codes with free points, when you are using the Swagbutton. It is very easy to install and use the Swagbutton. Once you have registered for Swagbucks on the website (see link at the bottom of this review), you can just go to the Chrome store and search for the Swagbucks extension. It is free to install, and once you have installed it, all you need to do it to activate the Swagbutton in your browser, and you will be able to start using it. Can you use Swagbucks on a mobile? Once you have signed up for Swagbucks, you can download the Swagbucks app, if you like using the platform on the go. It is available for Android, iPhone, iPod, iPad/tablets. It, in general, runs best on newer devices, but usually, it can be used, if the device is less than 2-3 years old. 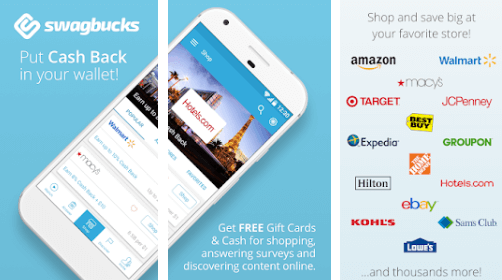 The Swagbucks app makes it easy to earn on the go. Using a survey and GPT site that has an app makes it a lot easier to earn, as you can do it on the go. I often do it when I am waiting in line, waiting for a friend, or when I have a few minutes to spare etc. Therefore it is great to use sites that are available on the phone and that has an app. Using the Swagbucks app also has the advantage that you will be able to see offers in your local area and thereby in some cases earn when you eat or shop locally. You get paid in SB (Swag Bucks) every time you do an activity. 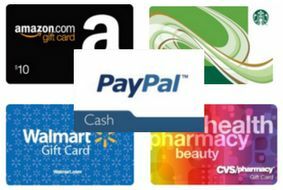 These SB can then be exchanged into a big variety of gift cards, cash through PayPal or sweepstakes. In general, 100 SB is worth $1. Sometimes there are however gift cards with discounts, so you for example only have to spend 1900 SB to get a gift card worth $25. If you want to get paid through PayPal, the payout threshold is usually 2500 SB which will then give you $25. But you can redeem your rewards a lot earlier for many other rewards, and you can find gift cards you can get as soon as you have earned 100 SB. Compared to many other survey sites, Swagbucks has a really good selection of gift cards. You can, for example, get gift cards for Amazon, eBay, Walmart, Target, Starbucks, Dunkin’ Donuts, iTunes, hotels, airlines, and much more. So it should not be difficult to find a way to redeem the rewards on something that suits you. The sweepstakes (which are called Swagstakes) is another way you can spend your SB. Here you can for a small amount of points buy entries into different sweepstakes, and that way have a chance to win a bigger price. Some of them are time restricted and others have a very limited number of entries, so if you keep an eye on the sweepstake section, there can be some good chances to win some extra rewards. As with any other survey site or online rewards site, this is the big question. But unfortunately, also one that is impossible to give a specific answer to. It depends on so many different things. How much time are you willing to spend, how many of the opportunities are you interested in using, where do you live, and many more factors. A general thing that can, however, be said about survey sites and sites like Swagbucks is that they will not make you rich. So you should not join with that as the goal. Swagbucks does, however, give very good opportunities to make some nice extra cash or get some extra rewards depending on your preferences. Personally, I like the survey part of it, as I, in general, think surveys are a great way to make a bit extra and have my opinion heard. But Swagbucks offers many other great ways to earn, and as you have shown earlier in this review, so of the methods can be a very easy way to earn. and it has great bonuses and offers that can really boost your earnings. Swagbucks, in general, has good earning potentials compared to many similar sites, and it is one of the biggest and most popular sites in the world, because of the many opportunities it gives. And if you like to do shopping online, Swagbucks can give you some huge savings, if you do your shopping here, and it also has a great daily activity bonus. Yes, your points can expire at Swagbucks. If you have not logged in to your account and made any points or redeemed any rewards for 6 months, then your account will become inactive. The points (SB) you earn will expire after 2 years from the day you earn them. I assume that most people would want to get their rewards out sooner anyway, but if you like collecting as many points as possible before cashing out, just be aware that they can expire, if you wait too long. S wagbucks is unfortunately not available worldwide. So you have to live in the United States, Canada, United Kingdom, Ireland, Australia, Germany, Spain, or France to join the site. On the website, it is said that they hope to expand to other countries in the future, so maybe one day it will be possible for other countries to join as well. You can join Swagbucks from you are 13 years old. Some similar sites have it as a restriction that more members of the same household (with the same IP address) cannot join. This is not the case for Swagbucks. As long as you make an individual account for each, more members of the same household can join, which I think is great. Of course, you are not allowed to make several accounts for yourself using a fake name, as this will be considered cheating, and you will be banned if they detect it (and they probably will). I sometimes get the question how it is possible to use Swagbucks in any country, as many people from other countries are interested in joining it because of the many opportunities it has. The thing is that you cannot join it from other countries, and in my opinion, it does not pay to try to trick Swagbucks by hiding your location. They will very likely detect it. If you do not live in one of the countries where Swagbucks is available, you should instead check out the best sites in your country. And maybe one day, Swagbucks will then also open in more countries, but at the moment it is only available in the countries mentioned above. Are there any complaints about Swagbucks? So far Swagbucks looks like a pretty good way to make a bit of extra money right? But I decided to also include other opinions about the site, to give you are broader perspective, and I have therefore researched further and been in contact with other members to hear other peoples’ experiences as well. In general, people are pretty positive about Swagbucks, and it has been able to get this many members for a reason. With any survey site or GPT site, there will always be some complaints. A general complaint about survey sites is that people sometimes can be frustrated about not qualifying for enough surveys, which I have also heard about Swagbucks. But you should not expect to qualify for all surveys on any site that offers paid surveys, and after a little while, you will figure out what type of surveys you are most likely to qualify for, and then you will just focus on these. I have also heard a couple of complaints that the videos you can watch give a very low reward. I can only agree on this, but do not really think this can be a valid complaint. You can always see before you start watching how much you will make. I would also never choose to watch these videos just for the money alone as that is not worth it, but only if I really wanted to watch it anyway. But overall Swagbucks is getting really good feedback and people have many good experiences with the page, and most people are talking about Swagbucks in a very positive way. Being able to get in contact with support is important for any GPT site or survey site. Hopefully, you will never need to, but it is good to know the option is there if you should ever need help. I have been in contact with Swagbucks myself several times, and I have received very good service, and the support has been very fast at getting back to me. So in my experience, it offers excellent support. You can either submit a support ticket on the website or send a message on the Facebook page. Final Verdict – scam or legit? From the above review, it is clear that Swagbucks is not a scam. As you can see, my overall impression of Swagbucks is very positive. It has many earning opportunities, and it has a very good selection of rewards to choose from. Because of the many opportunities, it can, in the beginning, take a bit of time to find your way around the platform, but it is not too difficult. The downside is that it is not available worldwide, so you might not be able to join. But if you live in the US, the UK, Ireland, Australia, Canada, Germany, Spain, or France, it is a great site to join and one that I would highly recommend joining. If you do not live in one of these countries, you can instead check out the best survey sites in your country that are available more or less worldwide. How to sign up for Swagbucks and get $15 joining bonus? It is easy and only takes a minute to sign up for Swagbucks. You just click the button below, and you will go to Swagbucks’ sign up page, where you can register with your email or your Facebook account. By using the link below, you will also get a $15 joining bonus (terms explained earlier), when you sign up. If you have any comments, questions, or have any experiences with Swagbucks yourself, I would love to hear from you in a comment below. Swagbucks has many daily opportunities to make some extra cash. It is fairly easy to use, and one of the biggest players on the market, and has been around for a while, so it is trustworthy. You can get a great joining bonus of $15 (see terms in the review). Taxes depend on the exact tax laws in your country. I believe that in the US, you do not have to pay taxes for earnings on get-paid-to sites if it is less than $600 per year you earn. But other than that you have to pay taxes. But I am not a tax expert – I have an accountant to help me with my taxes. And as mentioned, it varies from country to country so the best is to check with your local tax authorities. No, you do not need to give your bank details to the survey sites to get paid through PayPal. yes, there are quite a lot of other good sites that are available in ZA. I have created a list of the best sites in South Africa here, you can check out. I did use swagbucks from Ghana once but didn’t have the chance to cash out because I didn’t have a number or address to verify. Unfortunately, Swagbucks is only available in limited countries and Ghana is not one of them. Hopefully, it will open up to more countries in the future. Hope you will find other options for you instead. LET ME ALSO COMMEND YOU FOR REVIEW MOSTLY ON (PRICEREBEL AND SWAGBUCKS SITES, BUT AS I AM CURRENTLY IN NIGERIA, WHAT SITES DO YOU SUGGEST TO ME? Thanks for the feedback. Glad to hear you like the info and reviews on my site. I am actually just planning to post a list of the best sites in Nigeria here within the next couple of weeks as many people have asked me about this. So keep an eye on the site. 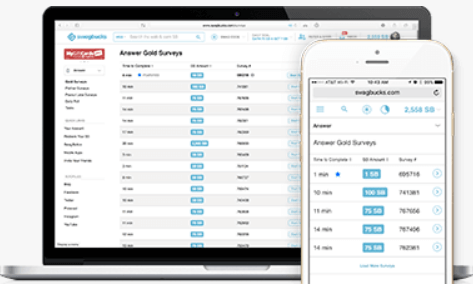 But for now, I would suggest you to check out Surveytime, ClixSense, Mobrog, and Hiving surveys. I joined Swagbucks in October. I have mostly tried Surveys. My personal demographics appear to disqualify me from most surveys. For those other areas of the site, is there anything that would disqualify me, or are they much more open to applicants? Perhaps I would see a much better return on my time in those other areas. For most of the other earning methods you do not as such have to qualify for and they can be done by most. So it can be a really good idea to also use some of the other earning methods Swagbucks offers. Thanks for all the information. I have joined Swagbucks before. I spent quite some time on surveys and it seemed that I didn’t earn much. I guess the biggest problem was that I would pick the surveys that offer the biggest earnings, and it could get frustrating spending quite a bit of time answering questions to find out that I didn’t qualify for the survey. When I first started, it seemed I qualified for more surveys, but it got harder and harder to find ones that I qualified for. I was not aware of all the other opportunities for earning on Swagbucks though. I did a few of the videos and answered the daily question, but I didn’t realize that there were many other areas that I could have earned more Swagbucks. I will have to take a look at it again to find the other areas you mention and see if it can work better this time around. Is this something that you check daily to help with your earnings, or just when you have some extra time? How many surveys you qualify for will depend on your demographic group. But what then makes Swagbucks really great if you do not have many survey opportunities is that it has so many other ways to earn. If you take a look around and get familiar with the methods I have mentioned in the review, you can find some really good opportunities. I personally check in on my favorite survey and GPT sites more or less every day as new opportunities come and go all the time. But it is completely up to you to decide how active you want to be. I must say that I am very satisfied with your review Mikael. 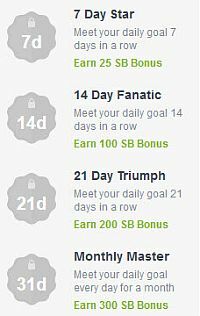 Although I heard some people talking about how they can not earn money with Swagbucks, I actually succeed in that. It is definitely legit and trusted platform but hard work is needed. 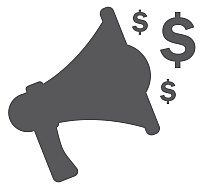 Anyone who expect to earn big cash by just clicking on ads is wrong but earning some extra cash is very possible. Thanks for sharing your experience Daniel. One of the big reason people sometimes complaint about survey and get-paid-to sites in general is that they go into it with the wrong expectations. It is definitely a legit way to make some extra money, and there is no risk involved. But as you mention, it will not be a way to for example make a living. If people expect this, they will for sure be disappointed. But great to hear you also like Swagbucks and are earning there. Thank you for sharing with us this great review on Swagbucks.There are many online programs which help people to earn money online.Some are real others are scams. Swagbucks is not a scam and it is helping many people to earn money even if it is not much money but at least it is real. You are welcome Julienne. Glad to hear you like the review. Swagbucks has caught my eye before, but I was a little wary of it. Sounds too good to be true at first glance, you know? I still had it in the back of my mind and I appreciate your article helping alleviate some of my fears. There’s nothing worse than putting a bunch of work in and then finding out you are never going to get paid. I will give them a try based on your recommendation. But Swagbucks is definitely one of the legit ones, and it has great opportunities. Feel free to let me know how it goes and how you like it, if you join. Great review! If people sign up for this, does there personal info get spread around? That’s a problem we’ve had when we’ve tried doing a survey. We then receive calls from unknown numbers trying to sell or scam us for days. If it doesn’t do that, then this sounds like a great opportunity! Your private info will be safe with Swagbucks. There are unfortunately some survey and get-paid-to sites that losely share info, but not this one. If you take paid offers on any site, it is however always a good idea to make sure to check the conditions for each offer. Especially the free contests will often have in the terms that they can contact you – so make sure to check this. But SB is definitely one of the legit and safe sites. Thanks for sharing you experiences about Swagbucks. Great to hear you can also vouch for it and think it is one of the best. Hello I have been able to create an account but am not from the available countries. How can I verify the account to redeem PayPal? If you are not from one of the countries where Swagbucks is officially available, I think it will be hard for you to verify your account. I am pretty sure it will go against their terms and conditions, so cannot help with a way around it – sorry. But if you tell me which country you are from, I will be happy to come with some suggestions for sites, you can join in your country instead. Unfortunately not the country with the most survey opportunities. You should however be able to join sites like ClixSense, GrabPoints, and Superpay.me. I am not sure how many opportunities they offer there, but they should be available in your country. So try to check them out, and feel free to come back and let me know how the opportunities are on them for you. I can’t sign up on swagbucks guide me out on how to register THANKS! Can I ask which country you are from? Because Swagbucks is not available in all countries. I completely agree that being a big company is not always a sign of quality. I think getting cash back for doing shopping you would have done anyway is a no brainer. I like the fact that you can use it on a mobile, so that I can earn while I’m on the go. I think the fact that the pros outweigh the cons is a great thing, and as you say you won’t get rich from it, but you can earn a little bit of extra cash to do whatever you please with. Yes it is definitely a great option to get some cash back on shopping your are doing anyways. I definitely also think it is great to have access on a mobile – it makes it very convenient to earn a little extra whenever it fits in during the day. Hope you will enjoy Swagbucks, if you decide to join. Fantastic well written review. I was in the market about earning some extra money or gift cards and had heard about swagbucks. I started researching the web and came across your article and glad I did. Do you get a choice on either cash or gift cards or is it what they are offering during the survey your taking? They sound very legit and looks like a way I could at least get some gift cards and money to help with the Christmas holidays. I really like the Idea that you have different ways you can do this such as games or watching videos not like the standard sitting and answering questions. Thank you so much for the great review and I will be giving them a try. The points you earn can be used for the rewards you prefer. So you choose yourself, and it is not dependent on the specific surveys or tasks you take. Hope you will enjoy Swagbucks. I like sites like Swagbucks and surveys. They can offer a supplement to one’s income by doing what they always do online. The drawback of a site like that is that they are not available in all countries. And, living in a very small country, most of them aren’t. Even if they are, and one can register, the surveys and options given are less than in larger countries, making it not worth the time spent. Is there an alternative site available in all countries? 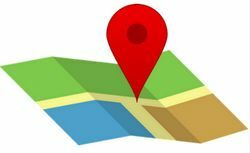 It can be difficult to find good survey sites in smaller countries, but there are some in almost any country. But how good the opportunities are on each site depends a lot on the exact country you live in, so difficult to give exact advise without knowing your country. But a few sites that are available more or less anywhere are ClixSense, YouGov, Superpay.me, and Toluna. Hope one of these will be great for you since you at the moment cannot join Swagbucks from your country. Very helpful article! Just wondered how long it takes to get paid via PayPal, between requesting payment to when it is available to you? (e.g., hours? days? weeks?). Thank you! Thanks for your feedback Terri. Glad to hear you liked the article. Swagbucks says that you should expect up to 10 days delivery time for your rewards from you have requested them. But that is the maximum. You might also receive your reward before. Great post, This is the first time I hear about SwagBucks, I will definitely look into joining, see if I can make some extra bucks. Thanks for the feedback Miguel. Glad to hear you found my article interesting. And good luck on SwagBucks and feel free to keep me updated on how you like it. I’ve been doing various paid surveys over the years and I have seen a nice benefit from doing them. Swagbucks was one of the reward schemes that I looked into but really wasn’t sure what to make of it. Thanks to your site I now have much more confidence in it and I’m going to look more into it and hopefully make some more money on the side! Thanks for your feedback Jack. I appreciate it. Glad you found the info useful. And if you live in one of the countries Swagbucks is available in, it is definitely worth giving a try. Hi Mikael, I’d never heard about Swagbucks prior to reading your post. I think it’s a great idea that you can get paid for surfing the web, watching videos and playing games online. These are things that I already do so it wouldn’t be like I’d be going out of my way. From what I’ve read it doesn’t look like Swagbucks would make me hundreds of thousands but its still a good way to make a few extra bucks. How many videos would I have to watch to earn a $25 voucher? Thanks for your comment Cheryl. If you want to make enough for a voucher just by watching the videos on Swagbucks, you have to wacth A LOT. I see the videos more as a side thing, and as you can see in the rewards example for the videos above, it is not what I would do to make money, but only watch them, if it is something I want to see anyways. If you use the surveys and the cash back for online shopping, you will quickly be able to make enough for a voucher, but not if you want to earn it just by watching the videos, as that is probably the aspect on Swagbucks that has the lowest rewards. So I would recommend to use the other possibilities as well. I have to admit that I do like Swagbucks, though not as much as when I first joined. The main thing I like about it is that you can earn Swagbucks for doing things you were going to do anyway, like searching the web or shopping online. Sure, you won’t get rich using Swagbucks, but if you’re going t do it anyway, you might as well make a little money doing it. Thanks for sharing your experiences Andy. Yes that can unfortunately happen at most survey sites that you end up not qualifying after having already answered quite a few questions. As you say, it is however not the fault of Swagbucks or the other survey sites where it happens, but because of the portals some of the surveys are offered through. Luckily, I usually find out if I am not qualifying within the first minute. And I have found out that when it happens as you explain, it is usually through the same kind of surveys/offered through the same portal. And for others it never happens. So then it is easier to navigate and if it happens several times for me, I just do not try that kinds of surveys anymore, and just focus on the others.